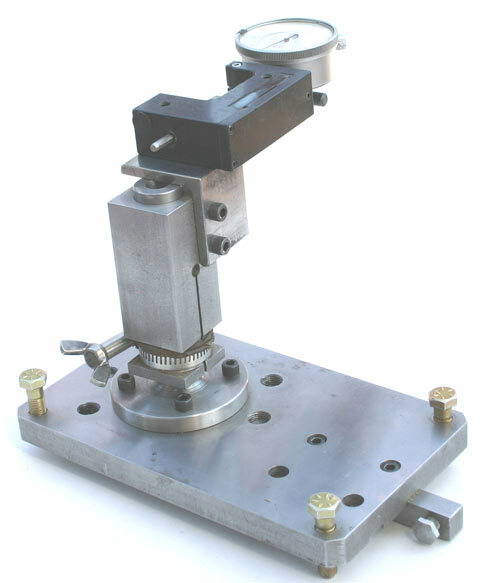 This jig makes checking the straightness of the splined bed plate or rolls of a canter fast, easy and accurate. The two pins on the bottom of the jig fit into the spline and automatically center the jig, regardless of minor changes in the width of the spline. The jig is then cross-leveled with the Levelling Screws. The Vertical Center Post, which is now centerd over the spline and plumb, is the reference for taking measurements to the wire (or laser). The Sensing Head is mounted on a block that slides and rotates on the Vertical Post. The sliding action allows the Sensing Head to be moved up and down to account for elevation changes and sag in the wire. 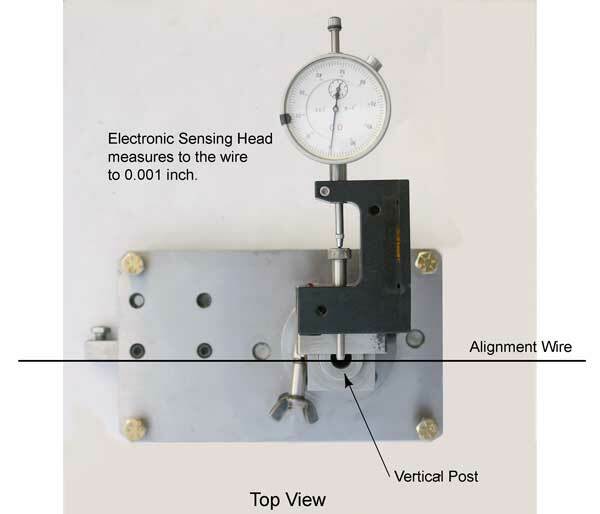 By rotating the Sensing Head 180 degrees, you can measure from both sides of the wire, allowing two points of the the wire to be set up precisely over the centerline of the spline. The electronic sensing head is part of the package. A machinist's level (not show)can also be permanently mounted on the base plate for cross-levelling.